I like my GoPro, and have it on a couple of places on my Quik. My experience is that the GoPro battery will last about 40-45 mins if recording constantly. Unless you want to record everything (which includes 10-15 minutes of warmup/checks, then its best to have a remote control of sorts. This can be be in the shape of a dedicated remote control, or by using an “App” on your mobile phone. Both of these require the GoPro to have the wireless function running. 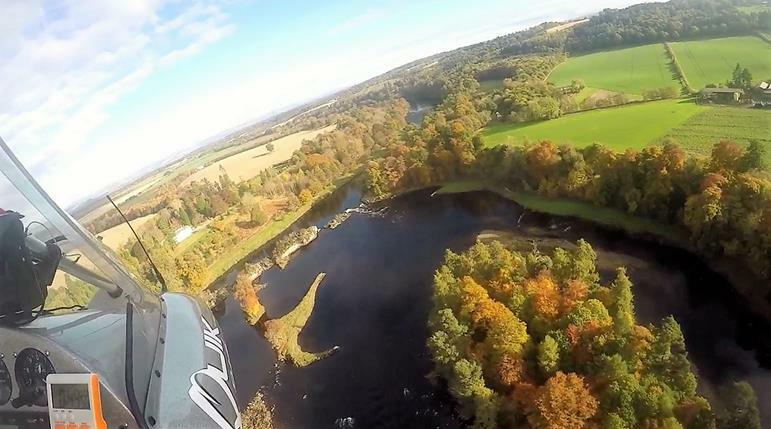 After purchasing a remote control (keep searching ebay for 2nd hand ones) then i found it works much better than the Faff of trying to muck about with the mobile phone while flying. 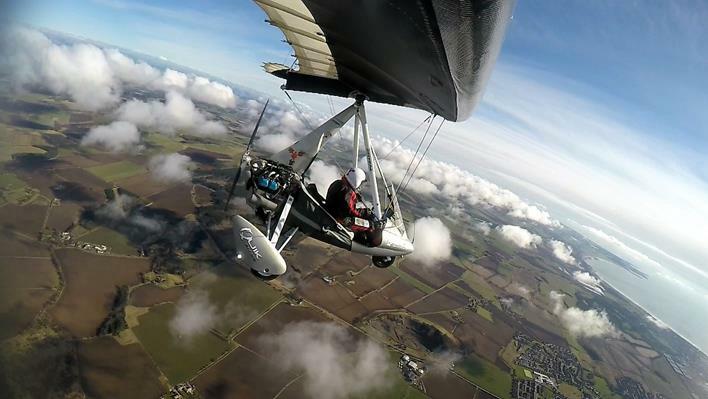 An added benefit is that you can switch the GoPro off into a standby mode (but keeps the wireless on). This helps the battery life enormously, and allows you to cherry pick where you want to record. No point in having 20 minutes of bland scenery to find you have no battery left when you get to the interesting bits. Plus if you are going to edit the video afterwards, it makes it much easier to just work with shorter clips. I have my gopro mounted in 2 places: on the end of the wing, facing back to the cockpit, and one on the bar so i can reach it. I find the bar one quite handy to point exactly where i want it – including reversing it behind and to the passenger if i want. Connecting to the wing, i utilised the existing bracket that is at the end of the wing, and found a bit of metal to bend round underneath, so the bracket could be attached. 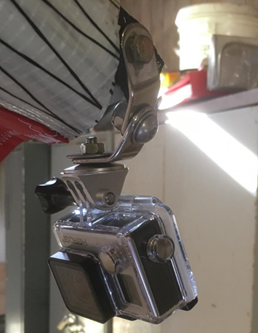 I bought a GoPro tripod mount from ebay for a couple of quid and with a short bolt, i could connect it on. The bar mount was also a couple of ebay purchases – both less than £8. 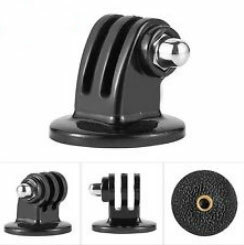 just search for GoPro swivel mount and GoPro bar mount and you will find them. Both parts are aluminium. Video below.. If you turn up the volume you can hear how positive the “Click” are as its turned, so it wont move on its own. Zero vibration through it either, which is good.